Directed by Hansal Mehta, 'Aligarh' is a true story based on the fight of Indian linguist and author Dr. Shrinivas Ramchandra Siras against his persecution for being homosexual. The film sensitively portrays the lonely life of a homosexual person in this regressive society. This intense story will make you question our society's mind-set about homosexuality. Manoj Bajpai leaves us spellbound as Professor Siras. His love making and the entire 'caught in the act' scenes are superb. Rajkummar Rao as the young journalist Deepu Sebastian having a South Indian accent does a fine job. His emotional scene in the climax is brilliant. Ashish Vidyarthi is perfect as Siras's lawyer. Apurva Asrani's script builds a tale around a commoner and the best scene is Professor Siras not knowing that you call someone he/she 'is gay' instead 'is a gay'. Siras's poem implies enough regarding his life. This film speaks more in its silences than the dialogues and there the visually impaired audience feels helpless. Sound effects are sometimes not enough even for guess work. Information about Siras's activities and silent scenes on the screen could be missed without a sighted assistance. Aligarh is a must-watch gem and deserves a standing ovation! 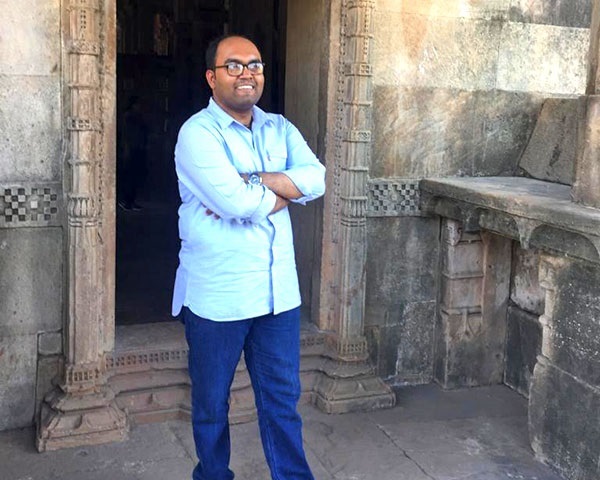 The Aligarh Muslim University case changed Professor Siras's life and opened Indian society's eyes. Aligarh starts by showing the video-taping incident. Then it gradually builds up by presenting the basic fact that Prof. Siras's privacy was violated using Rao's earnest appearance as the righteous young journalist. Next, it questions whether there is a difference between the love between two men and a man and woman in a brilliant manner. Bajpai's portrayal of Siras's struggle with accepting his homosexuality is outstanding. 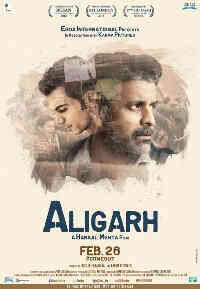 Aligarh does not try to force an opinion and leaves it to the audience to decide the rights and wrongs of what happened. Aligarh's strengths lie in its engaging script and excellent acting from Bajpai and Rao. There were certain scenes in the movie that needed no dialogues. However, I had some difficulty conveying the complex and sometimes subtle gestures to my visually impaired friends.